Here is a guide to our aerial video and photography services. All packages can be tailored to suit you so prices may vary by agreement. We are flexible so you get the result that you want. 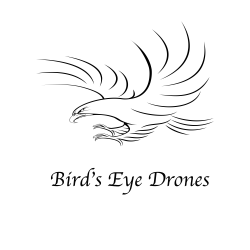 Each job is unique and because all drone flights are covered by Civil Aviation Authority (CAA) regulations we always carry out a detailed pre-flight survey before sending a final quote. We will normally do this online using google maps but we may have to visit the location before committing to the job. If this is the case we will discuss it with you beforehand. It may not be possible to fly at the location you want if it isn’t safe to do so. The middle of the Royal Mile during the festival would be a challenge! When you contact us we will ask for the location and then we will do all the pre-flight surveys and risk assessments and let you know. We won’t expect you to pay for that so you only commit once we know it’s going to be possible. Unfortunately, drones don’t really like being flown in heavy rain or strong winds so there is a possibility that we can’t fly on the day and time we agree. If this happens and it’s possible to re-schedule we will agree on another date with you. If we can’t reschedule we will not charge you. We’re obviously not going to be able to re-schedule your wedding or event but all may not be lost. It will depend on the weather forecast but we will always aim to come along and hope for a window in the weather so we can get the video and photos that you want. That might mean being a bit flexible with the timing or moving to a more sheltered area but if you are willing, so are we. If we don’t manage to get any video or photo’s because the weather prevents it we wouldn’t want to add to your disappointment so we will give you a full refund. We will do all that we can to add our drone flights to the excitement of your day and to give you the video and photo’s you want. If we really are unable to fly then we wouldn’t want to add to your disappointment so we have removed the risk of losing out financially as well. Turn your phone sideways to read this more easily. We can tailor our packages to suit your needs. It’s your special day so give us a call to discuss your requirements. you a single solution to all of your promotional video and photographic requirements. Panoramic Video as the client requires. Full terms and conditions are available on request and will be included in the final quote and invoices. These prices are inclusive of VAT except where shown.